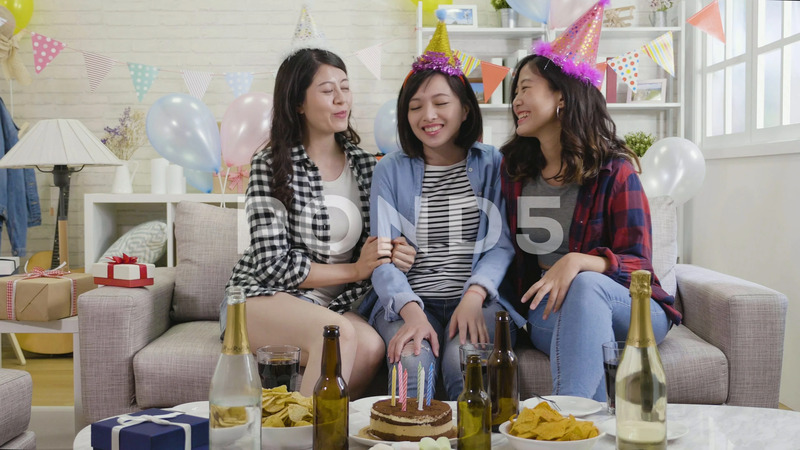 Description: slow motion of happy birthday party girls hugging together on sofa in decorated living room celebrating. group of young people at home chatting during event. food and presents all around in house.